We are proud to announce that we are leading a seed round for polySpectra, a physics-powered startup delivering the first material, CORAlpha, that can be used to replace injection molding processes at scale in global manufacturing supply chains. 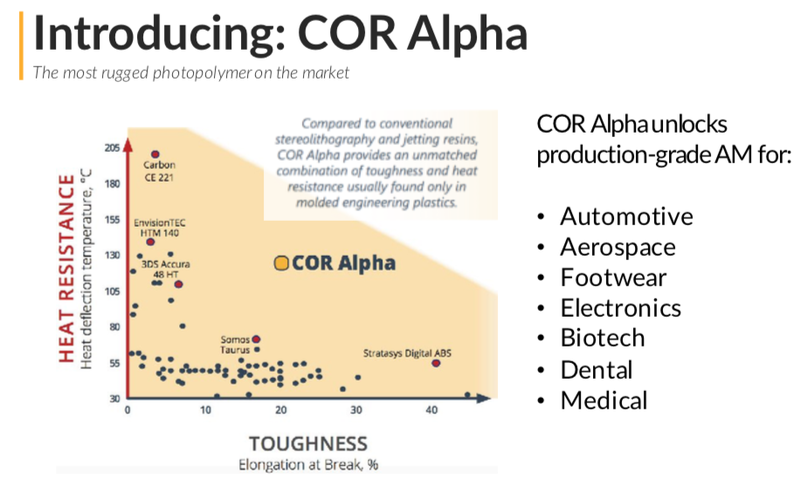 In short, polySpectra is commercializing a groundbreaking polymer that meaningfully reduces the cost of automotive, aerospace, and medical device manufacturing. Today, large manufacturers leverage 3d-printing for prototyping plastic components and then switch to more expensive, slower, and less energy efficient injection molding processes. This is due to the fact that existing 3d-printing materials cannot meet the needs of manufacturers producing parts that must be strong, durable, and stable across a range of stresses, pressures, and temperatures. polySpectra has invented the holy grail of polymers that for the first time makes it possible to 3d-print robust parts at scale. The technology has already been validated against rigorous benchmarking standards demonstrating its superior combination of heat resistance and toughness. This has resulted in significant customer demand particularly in the automotive and medical device industries. 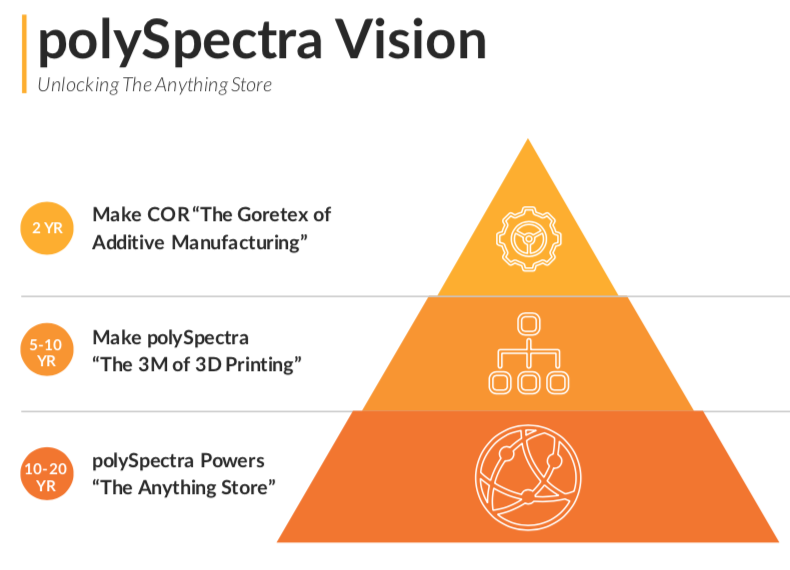 polySpectra has active pilot partnerships with leading manufacturers and 3d-printing partners. Additionally, polySpectra is delivering their patented polymer in an excellent business model that serves their customer base across a wide range of industries. First, they offer qualification parts to potential clients to help them to test and evaluate the basic material properties. Second, the customer engages polySpectra to customize a cyclic olefin resin (COR) material to their use case’s specific requirements in a co-creation phase. Third, polySpectra delivers the resin material to the customer at whatever volume the customer needs. 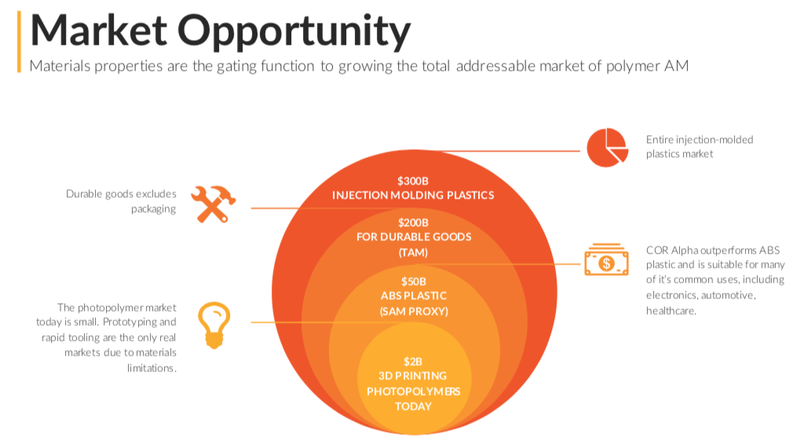 This unique combination of technology and approach opens a massive market opportunity of hundreds of billions of dollars across photopolymers, plastics, durable goods, and injection molding. With this investment of $7mm alongside Prelude and Congruent, the team will be expanding rapidly. If you are interested in contributing at polySpectra, apply here. We are thrilled to invest in the polySpectra team lead by founder and CEO Ray Weitekamp to invent the future of 3D-printing materials for manufacturing.